Sportfishing equipped aluminum boats on trailer - Kimple 395 fisherman with Mercury 6hp 4-stroke combustion engine, Haibo 54 lbs front mounted electric trolling engine, 6 rod holders, Sonar Garmin striker, Tiki trailer. Boats for rowing or use with electric engine in near by lakes. Heavy spin fishing set for pike - Custum built rods on bushido blanks, baitcasting reels with braided line, Suitable lures. Ligth spin fishing set for Perch, Walleye, Trout etc. – Spinning rod - 40-gram, Open spinning reel with both braided line and mono. Suitable lures. Pike fly-fishing set from Vision. Salmon fly-fishing set from Vision. Our salmon is early running and hits the river mouth in May. They reach the actual fishing stretches in late May, or beginning of June. First the alfa fish is coming; often passing 20lbs is size. 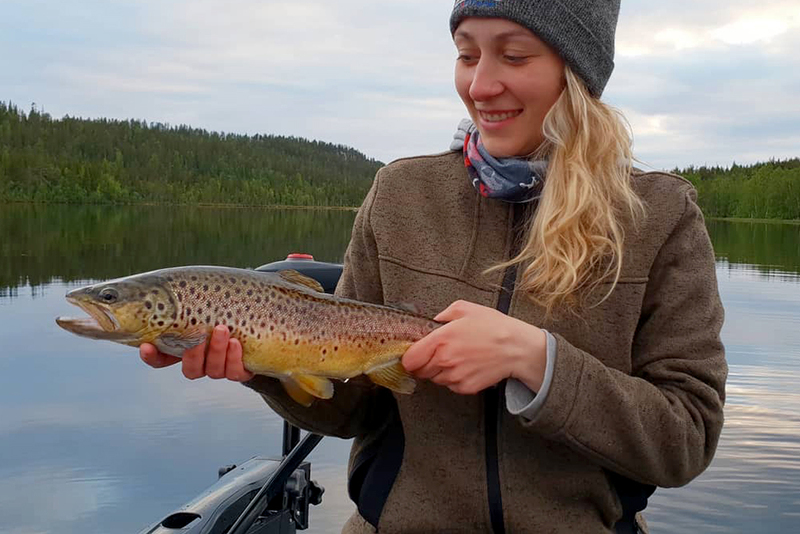 Come and fish the untouched waters of Swedish Lapland, with its wide variety of waters in astonishing environments. 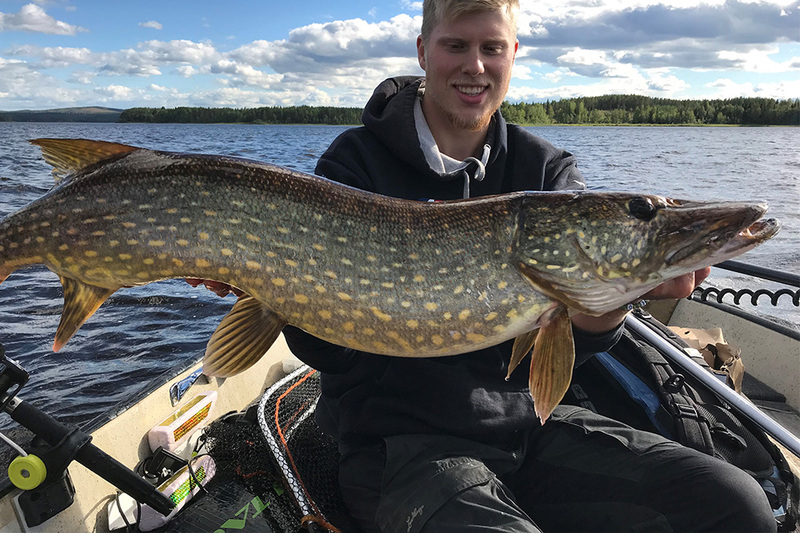 We have big lakes and the wild Råne river that holds a good population of big pike. In the woodlands you find a wide range of trout fishing locations, from small creeks, to wild rivers and small dark lakes to great clearwater lakes. Emanuel Swärd, Palle Andersson and Mats Ole Herz re the guides in Sörbyn Lodge. Their experiences include together 40 years of fly fishing, a lover of predator fishing an the current world record holder of perch.